Last week, I wrote that we would learn a lot about the state of football in the state of Florida this past weekend and, boy, did we ever. Every major college football team from Florida that took the field took a loss. The Florida Gators just not ready yet but they are getting better. Miami simply doesn’t have enough at quarterback or offensive line to compete at the highest level. It was only a matter of time before USF lost but at least it was to a good Houston team. As their loss to Clemson, the largest home loss in Seminoles history shows, Florida State is a flat out mess, something I witnessed first hand. Florida State fans knew going in that it was going to be a bad day and the fans voted with their feet. I was easily able to get a ticket to the game as an opposing fan, paying only 25 percent of face value. The stands around me were only two-thirds full and these were some of the best seats in the stadium. Each time Clemson scored another touchdown, the exodus of fans began anew– and the Tigers scored a lot of touchdowns. By the end of the game, the once mighty and feared Doak Campbell Stadium was awash in orange as Clemson fans celebrated their backups scoring on the Seminoles. Did the Seminoles quit? I don’t know what’s inside the head of the players but you could tell from the very start of the game that there is just something missing at Florida State. Even when the right plays were called, time after the time, the players did not deliver. Once Clemson took the lead, the snowball was on its way down the hill and there was no stopping the Tigers. Coach Taggart felt like Florida State did not have the heart to stand up and stop Clemson. “We are a mentally weak football team and we are not mentally strong yet and that is part of changing the coaches to get it where you want it,” Taggart said. It was a sad state of affairs. Clemson’s backups were clearly as good or better than Florida State’s starters. The Tigers’ second team players marched right down the field and scored twice. Clemson won so big that they got to play a third string quarterback for the fifth time this season. Florida State players should look into the mirror to find the source of their woes and look to the upstate of South Carolina to see how to build a football team the right way. 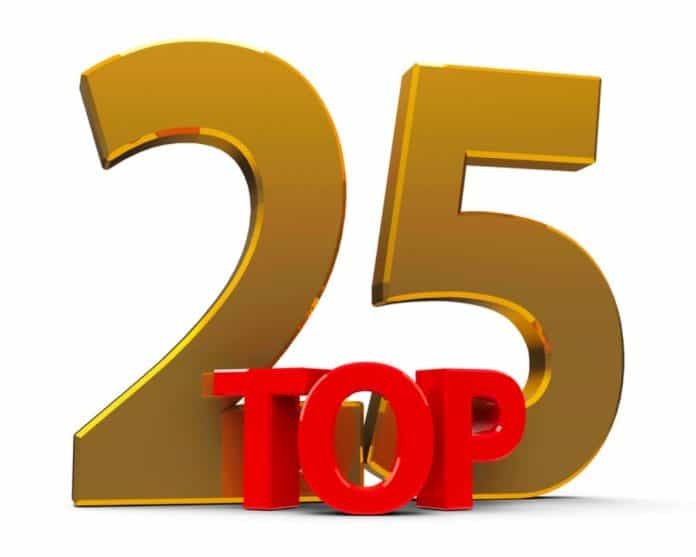 Here is my Top 25 for the week beginning October 28th. Alabama (8-0) The Crimson Tide may make the playoffs even if they lose to LSU this week. Clemson (8-0) NC State and Texas A&M wins worth less this week but they have destroyed their last three opponents. Notre Dame (8-0) Stanford win takes a hit and Va Tech win can’t even be considered good anymore. LSU (7-1) They will not make the playoffs without beating Alabama. Georgia (7-1) Finally have a quality win after beating Florida. UCF (7-0) With a nationally televised Thursday night game, will pollsters actually watch them? Michigan (7-1) Michigan State and Northwestern wins look better this week. Ohio State (7-1) Had an off week to stew over Purdue loss. Washington State (7-1) Terrible non conference schedule but they still have a shot at the playoffs. Kentucky (7-1) Flirted with disaster again against Missouri. Oklahoma (7-1) TCU and at Iowa State are not good enough wins to be higher. West Virginia (6-1) Game this week versus Texas should be for entry into Big 12 Title Game. Florida (6-2) Only team to beat LSU and also beat Mississippi State. Texas (6-2) Only team to beat Oklahoma. Penn State (6-2) They don’t have the same level of win as the two teams above them. Utah (6-2) Four straight wins make them the favorites in Pac 12 South. Houston (7-1) Waxed Arizona and USF. Only loss is at Texas Tech. USF (7-1) Weeks of flirting with disaster finally caught up with them. NC State (5-2) They lost but have beaten the two other teams I considered here in UVA and BC. Mississippi State (5-3) I can’t put UVA above them without any quality wins. Utah State (7-1) Only loss was a close one at Michigan State. Virginia (6-2) Red hot Cavs look like the ACC Coastal favorites. Fresno State (7-1) Six straight wins and only loss by just a TD at Minnesota. Boston College (6-2) Ran all over Miami. Texas A&M (5-3) Should I have put Iowa here? Maryland? Cincinnati? Syracuse?